Trekking in Nepal often takes place in the highlands, where the highest mountain range in the world (the Himalayas) stands. Nepal attracts as much for the variety of its landscapes as for the warm welcome of its inhabitants. 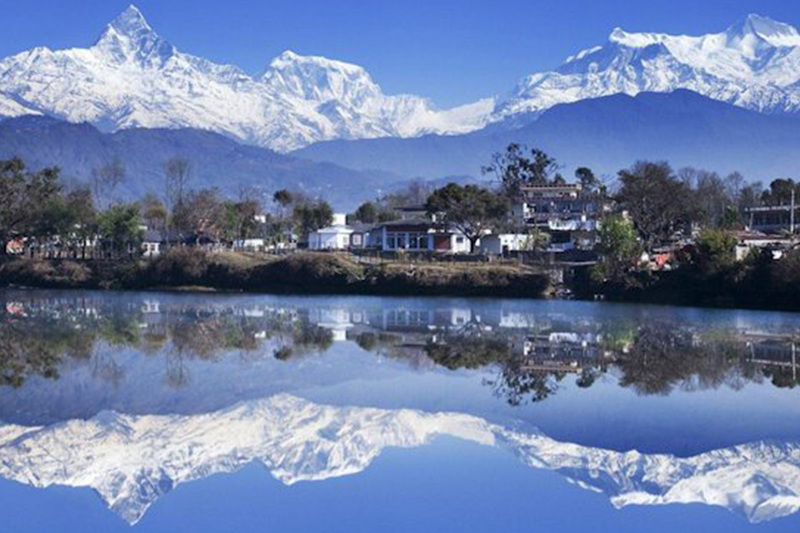 From north-west to south-east, Nepal is 800 km long and 120 to 230 km wide. the altitude begins to spread from 72m in the plains of Terai to more than 8848m the mountain. 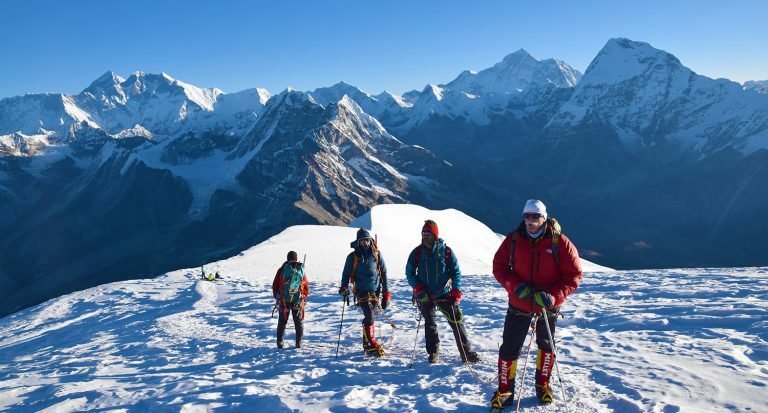 In 2016, there were 29 million Nepali, there are 14 summits of more than 8000m in the world, eight are in Nepal whose Everest the “roof of the world” with its 8848m altitude. 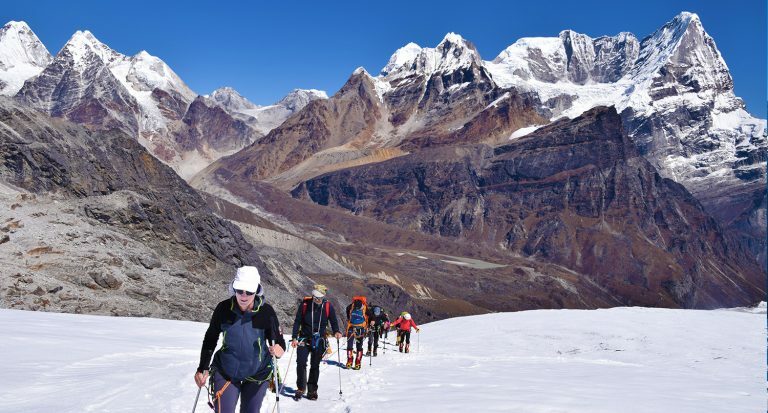 Between these summits, valleys inhabited by many ethnic groups give access to passes which are all possibilities of trekking in Nepal. 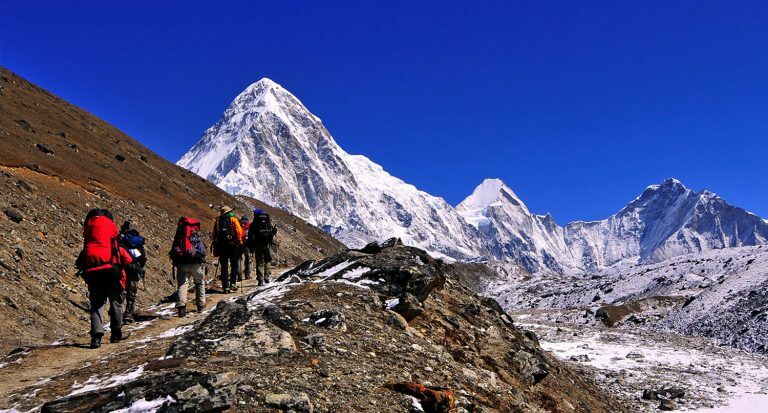 Some routes are so famous that the word trek is inseparable from the word Nepal and vice versa. PERMIS : Parmi ces treks on trouve Région des Annapurnas, Région de l’Everest, Région de Langtang, la vallée de Rolwaling, le massif du Kangchenjunga. le tour du Manaslu, En circuit au Népal vous pourrez vous rendre aussi dans les régions mythiques du Dolpo et du Mustang. Although the historical Buddha (Siddhartha Gautama) was born in Nepal, in Lumbini near the Indian border, the vast majority of Nepalis is Hindu. The presence of the Buddhist religion in the mountainous regions close to Tibet makes Nepal more than elsewhere, these two religions mingle in perfect harmony. 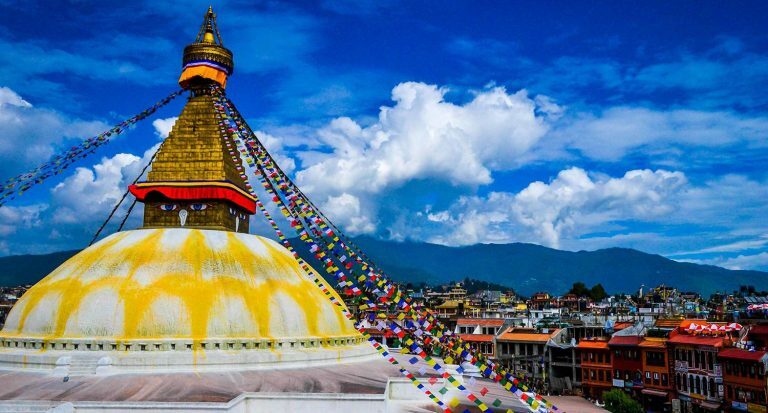 Most of Nepal’s guided tours allow visitors to visit the beautiful Kathmandu Valley, a UNESCO World Heritage Site, a perfect example of the architectural beauty of these two religions with the sites of Bodnath, Pashupatinath, Swayambunath, Bhaktapur, Patan. When to go to Nepal? During the months of September, October and November, temperatures above the altitude of 4500m minimum -10 ° C maximum 15 ° C and minimum 5 ° C maximum 15 ° C below 1500M altitude. And the sky is normally deep blue, the sun is often bright and the view of the mountains mostly crystal clear, the temperature during the day is rather pleasant. This is an excellent time for tourism and trekking in Nepal. Begin from December to February, temperatures above the altitude of 4500m minimum 15 ° C maximum -20 ° C and minimum 15 ° C maximum 0 ° C below altitude 1500M.Snowfall abundant sometimes make impassable several passes of high altitude. Trekking is always possible, but at altitudes below 4,000m because of the cold. The weather is very clear and visibility on the mountains excellent. Beginning of March to May, temperatures above 4500M altitude minimum 5 ° C to maximum 20 ° C and minimum 12 ° C to 29 ° C below 1500m altitude. the days are sunny and the temperatures more and more lenient. The view of the mountains is less and less good as the monsoon approaches, but it is also the period of flowering rhododendrons, absolutely beautiful, especially in the Annapurna region.